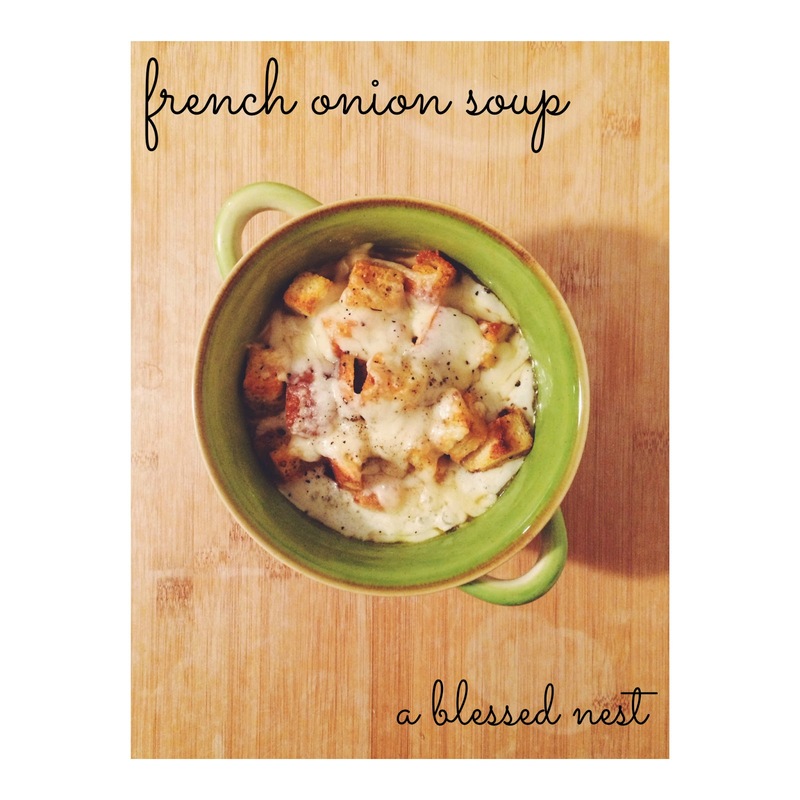 My mom has been making the most amazing french onion soup for the past few years. 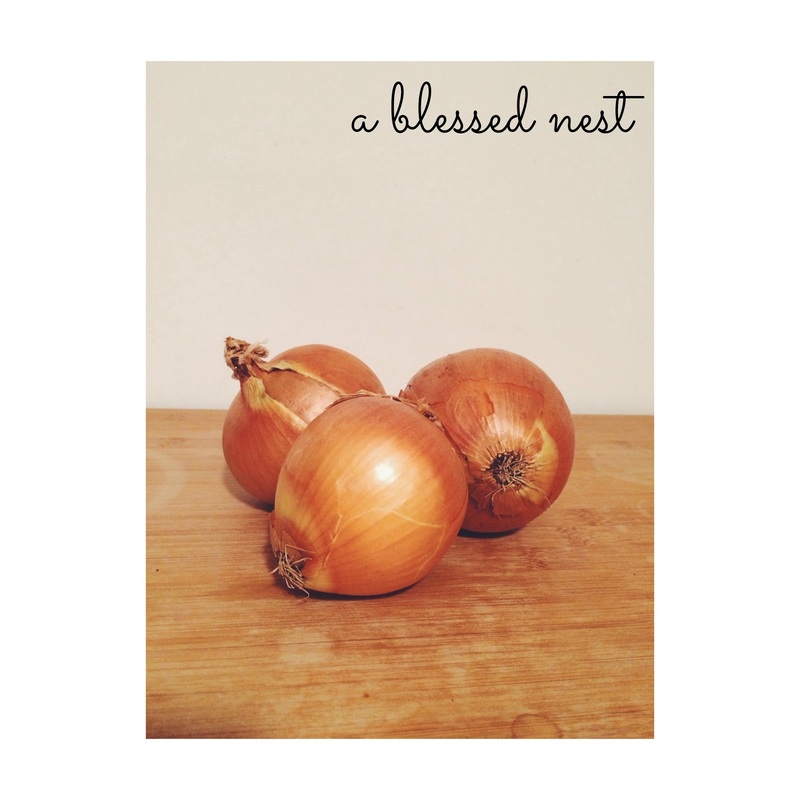 On cold winter nights she would whip up a big pot of it for family dinners. Hearty and tangy, filled with asiago croutons and covered in bubbling gruyere cheese, you can't live through a MN winter without making up a pot of this soup. "10 large onions. 1 qt. beef stock. Salt and pepper." I immediately said, "Thanks, Mom. But what else is in it? Can I get the actual recipe?" That was the actual recipe. 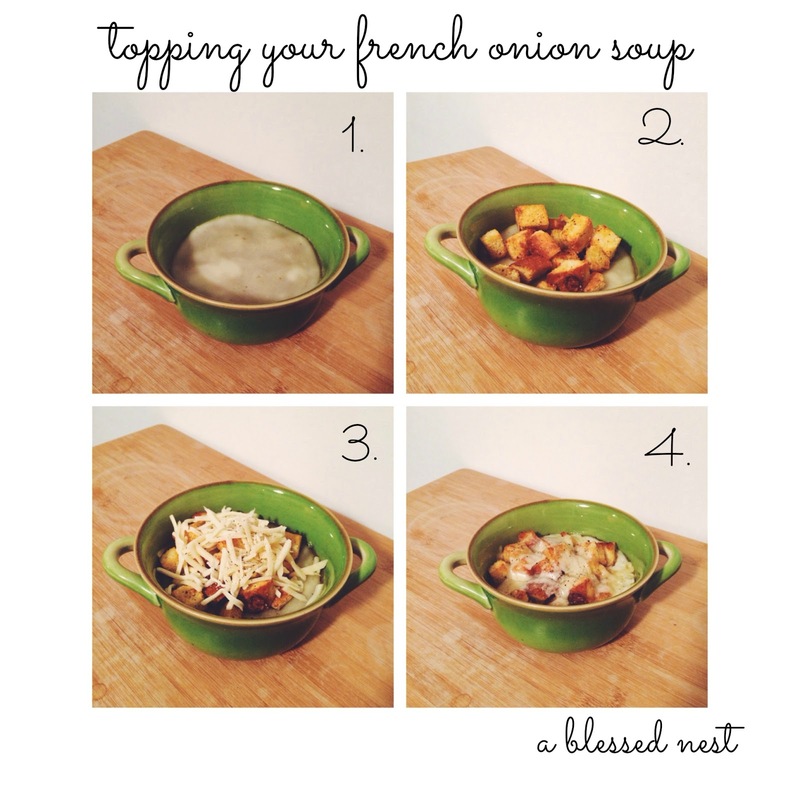 And this is the easiest french onion soup you'll ever make. 1. Cook onions thoroughly in dutch oven (or large pot) with BOTH butter and olive oil; add S+P as you cook to flavor every layer || With such a high volume of onions, to get them cooked well it takes about 20-25 minutes, so be patient...it's worth it! 7. Cozy up on the couch with a big spoon & a blanket. Indulge.